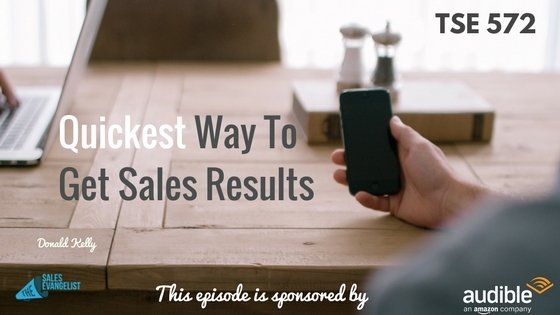 How do you get the quickest sales result? You can’t expect sales to keep coming when you’re not even doing anything. You can’t expect the same either if you thought sending one email was enough to draw them in. You’ve got to push harder than that! Emails are great but, especially if it’s a cold one, they can’t even see you. Who knows if there was a human being behind those electronic words. 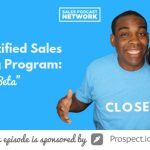 So figure out a way to make a personal connection by speaking with your prospect. Pick up the phone and chat with them. Then be consistent. Follow a process and take action. Figure out the best thing to reach them besides sending an email. It could be seeking a referral or simply picking up the phone. Again, be consistent. Try out multiple approaches. You could initially send an email and then make that phone call. Follow it up on social media via Twitter, LinkedIn, Instagram, or Facebook. Regardless, you have to take action. Again and again and again, be consistent. Building relationships take time and creativity. Great salespeople have a belief stronger than their resistance. A rejection now may no longer be the same next week. Be willing to open your mouth and take action. What are you doing right now to make something happen? Take action. Be consistent. Make it a habit and you will see positive results.